The 47.5 hour-long audiobook has been added to over 10,000 personal libraries on Audible.com and has a review rate of 4.6 out of 5 by users. The story was performed by 67 actors playing 198 roles and a library with over 150,000 sound effects. “If we did not have the exact right sound recording, it was created—whether it be a certain type of coin flipping, door opening or footsteps of a woman or a man, we ensured it was the exact right sound. Inside or outside noises were taken into account as well,” said John Goodwin, President Galaxy Press. With such high user reviews, it looks like it paid off. Galaxy Press also announced that Battlefield Earth sold over 100,000 copies between the book and audiobook in the last 7 months since its release in June. 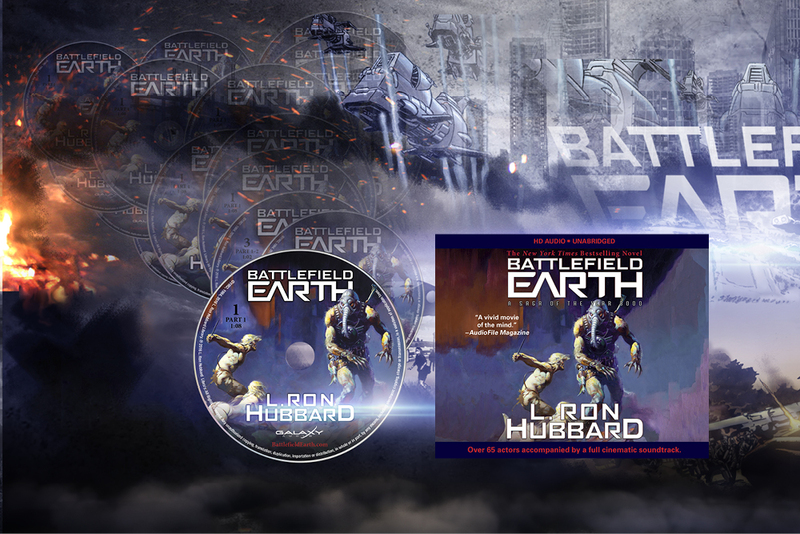 To find out more about Battlefield Earth go to www.BattlefieldEarth.com. A New Entrant to the Hollywood Christmas Parade – Battlefield Earth Valentine’s Day – Sweetie or Geeky?